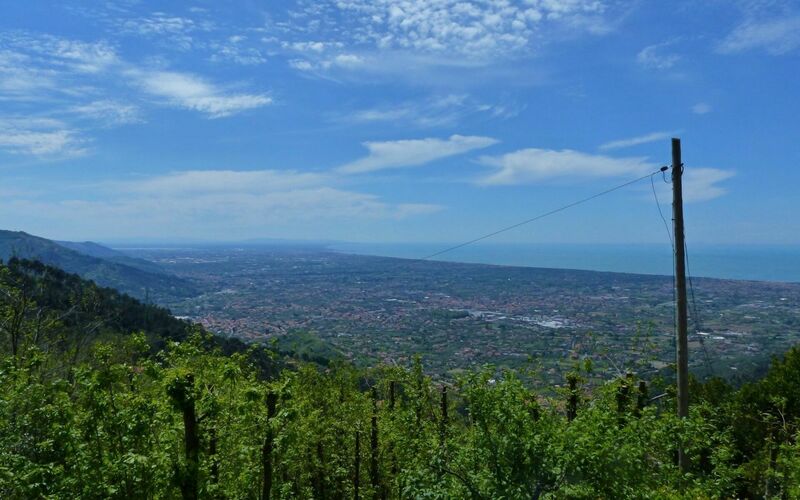 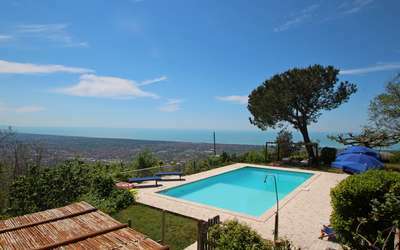 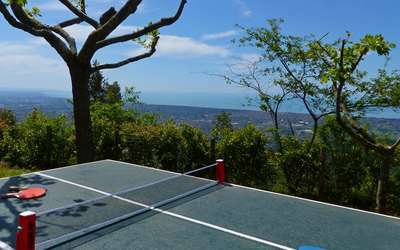 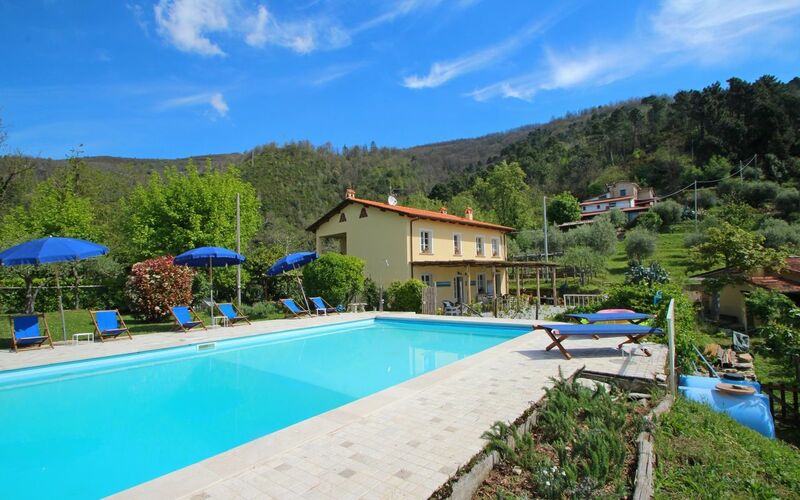 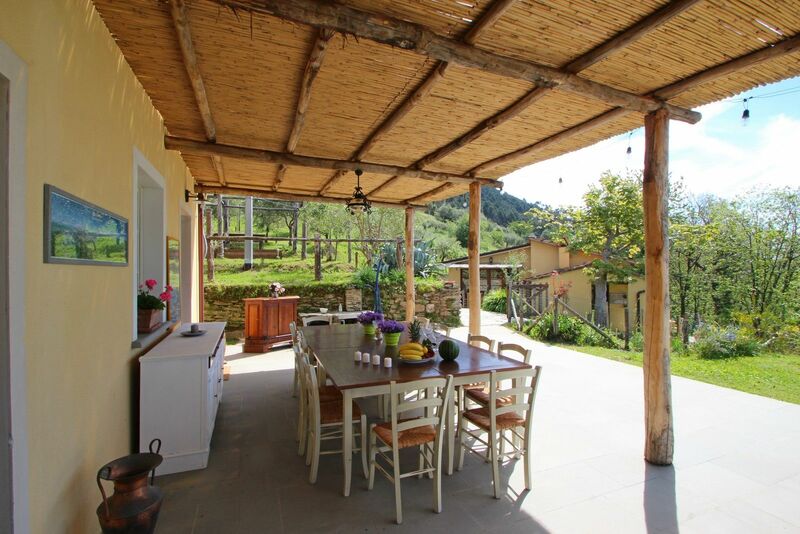 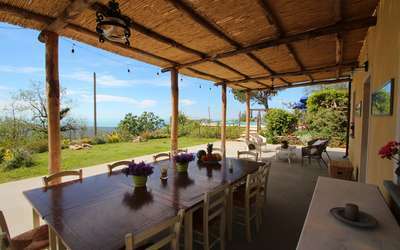 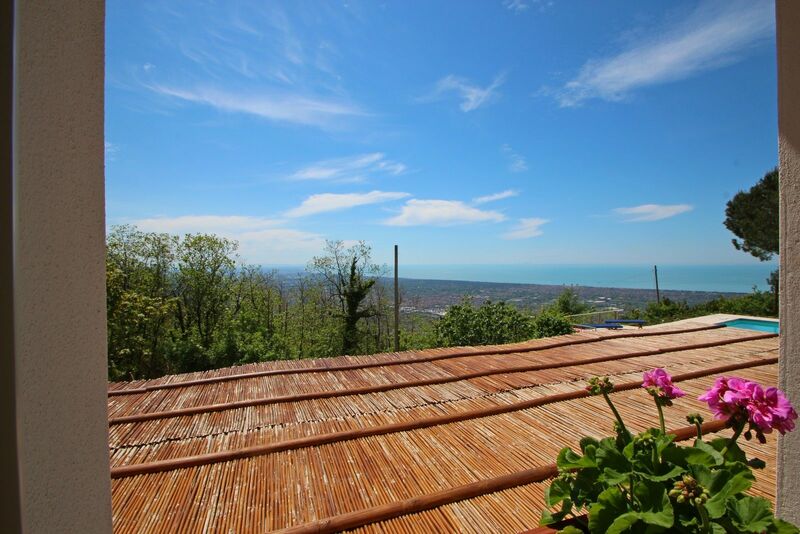 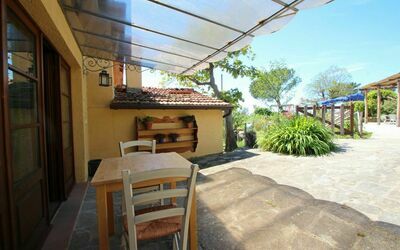 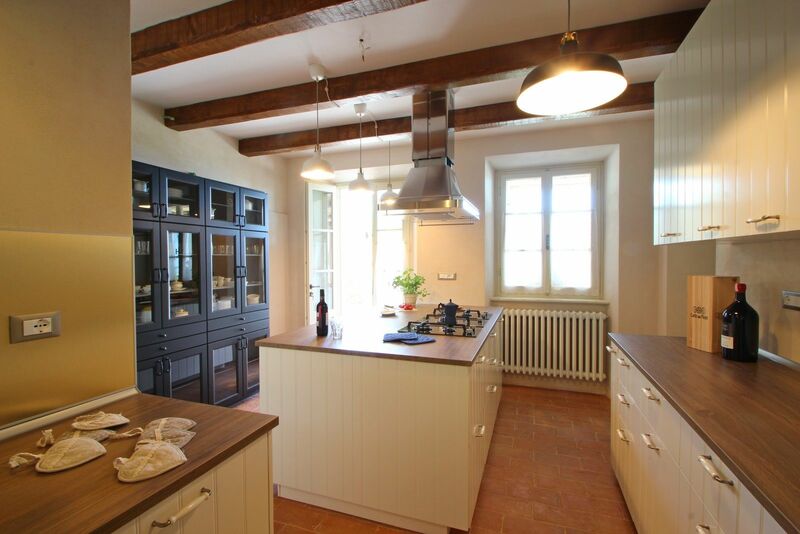 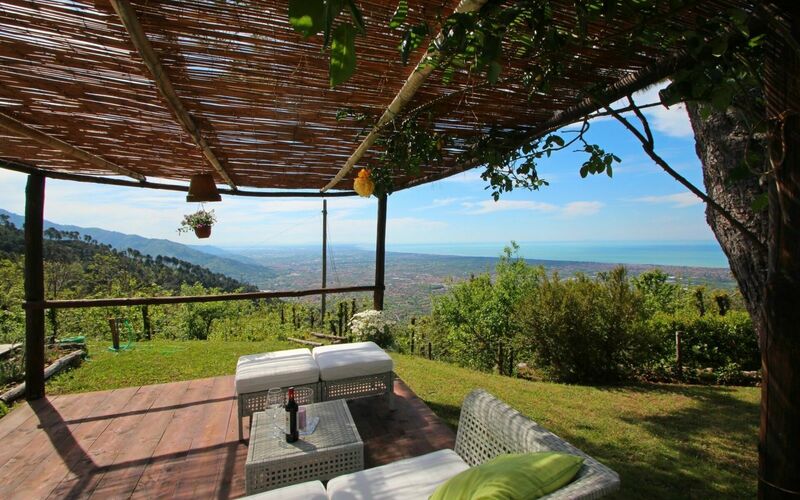 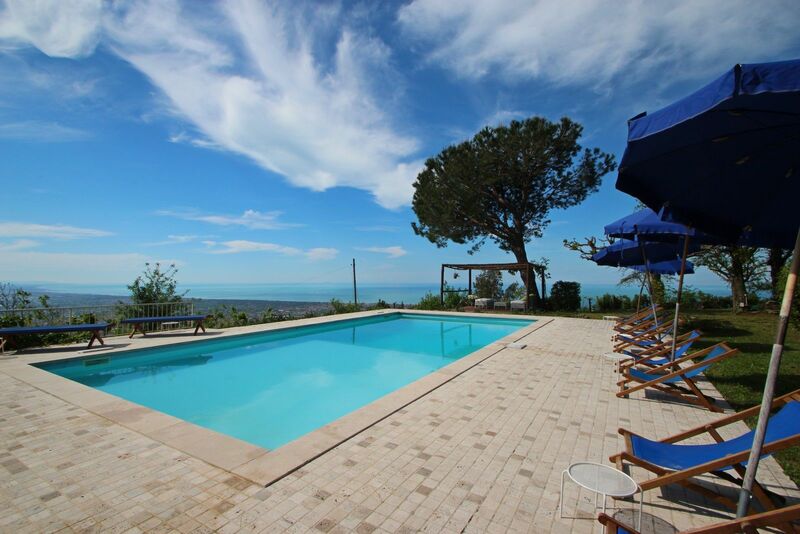 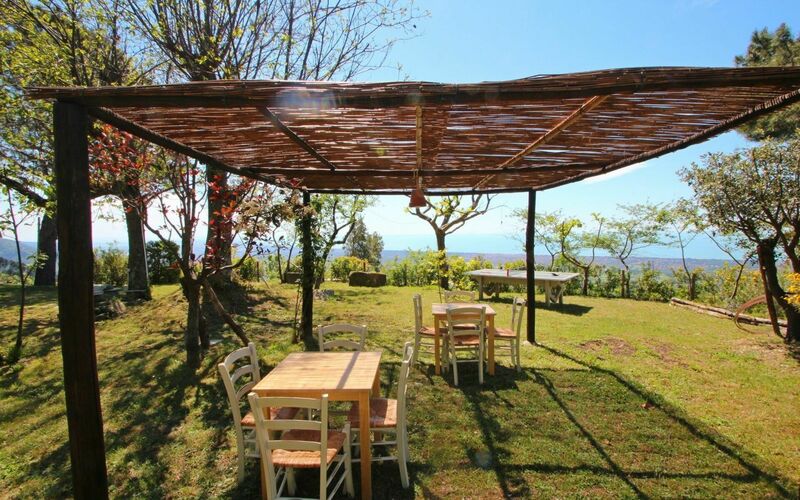 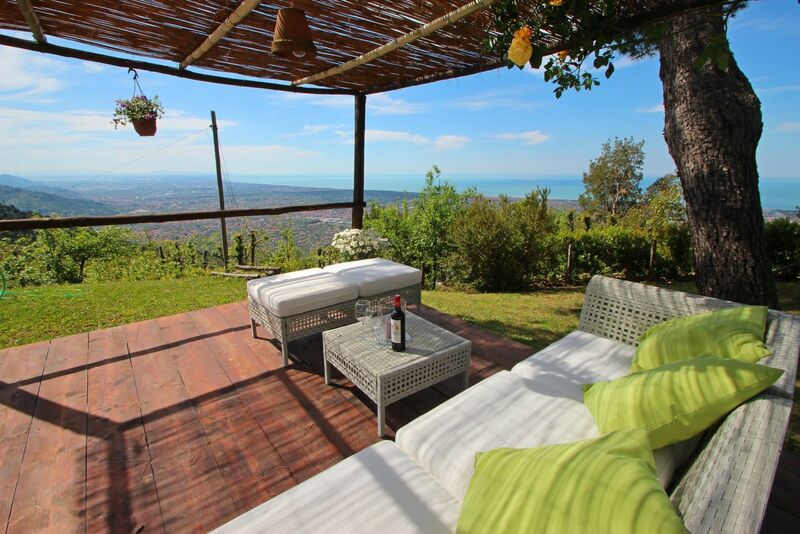 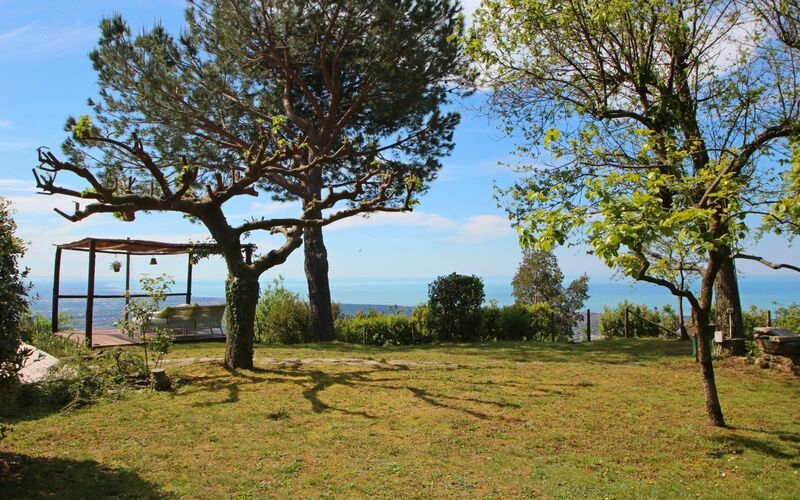 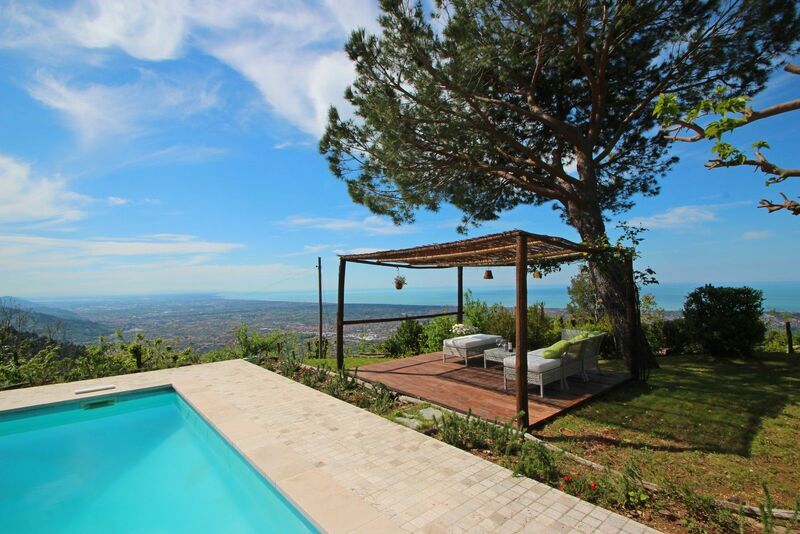 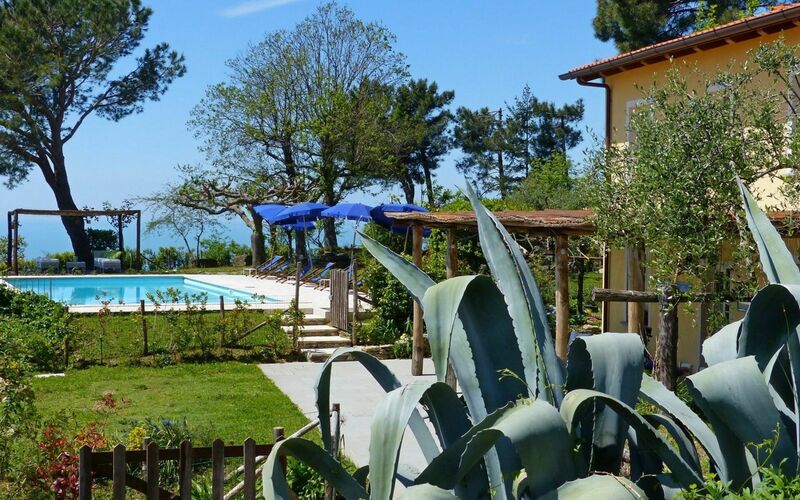 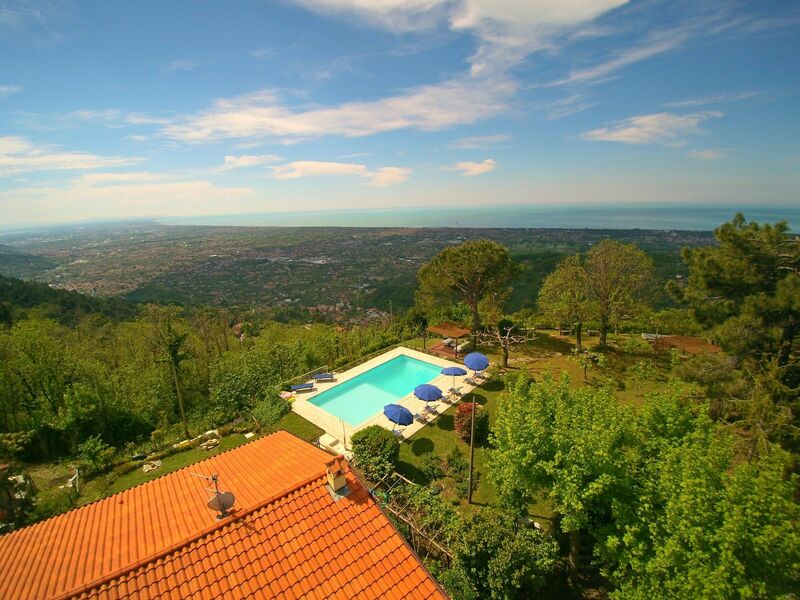 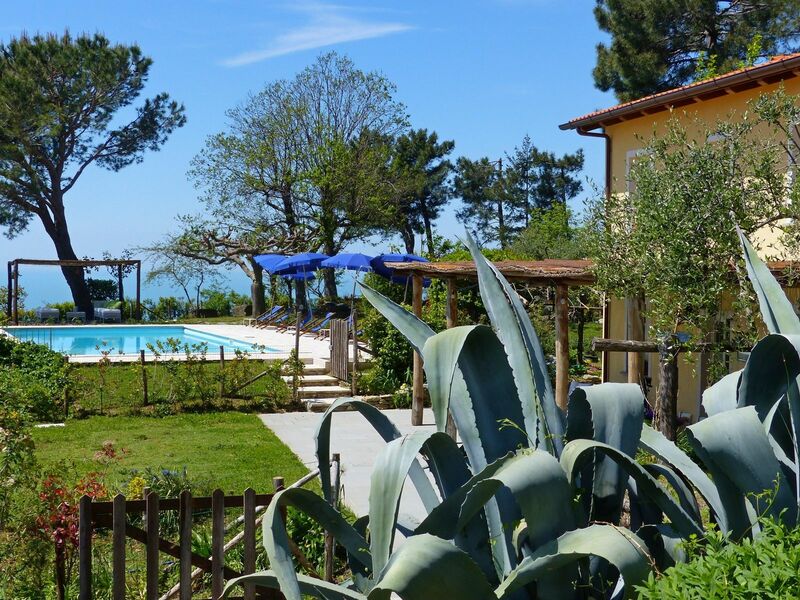 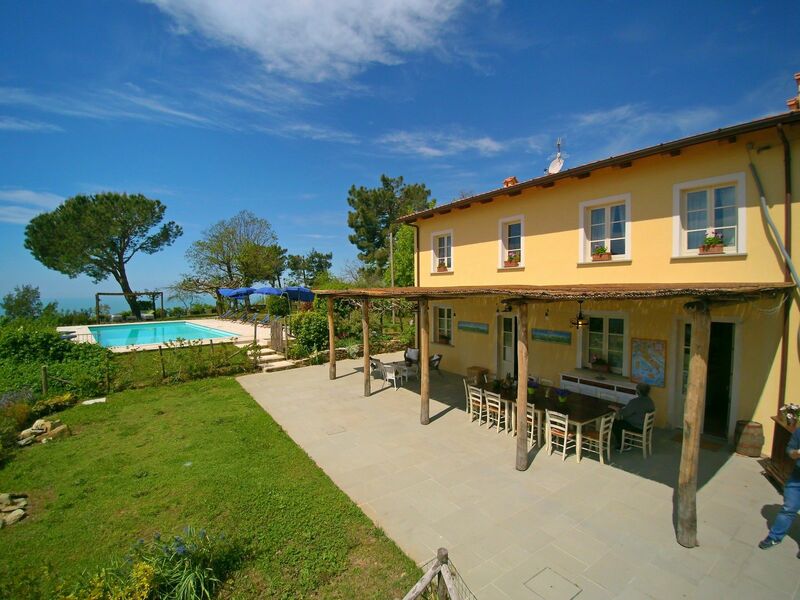 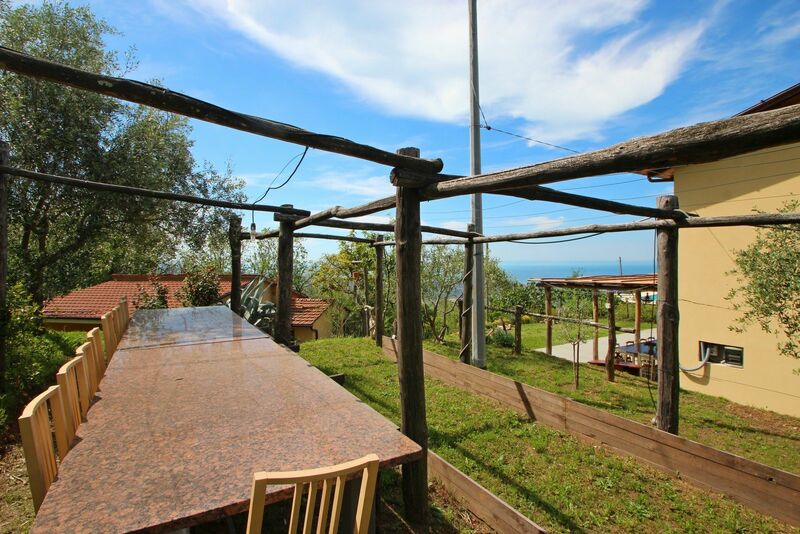 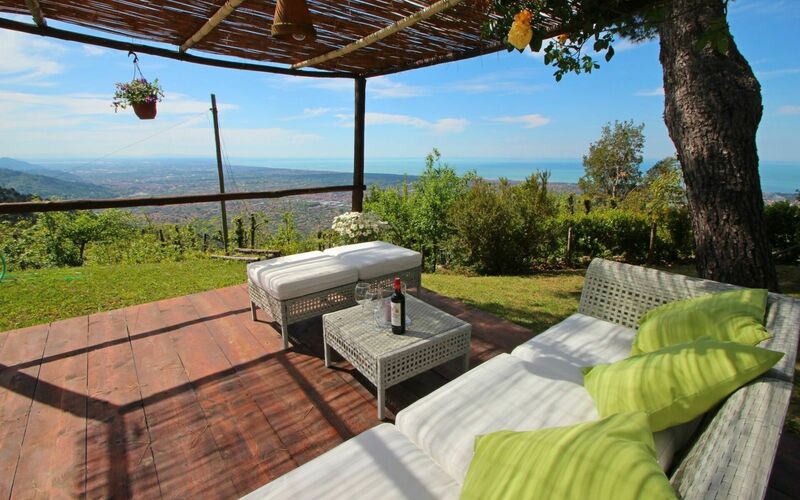 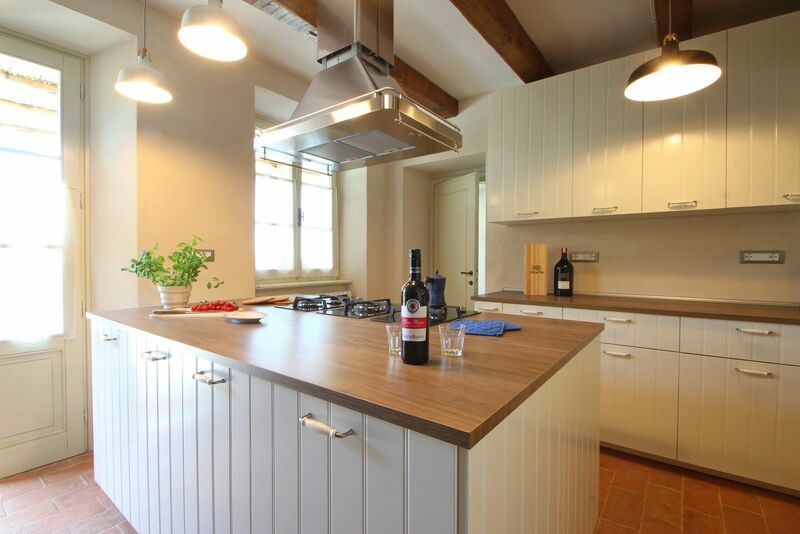 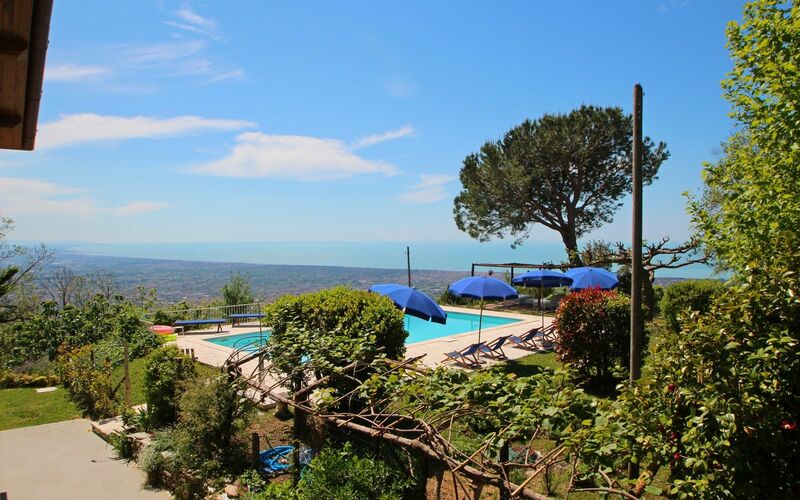 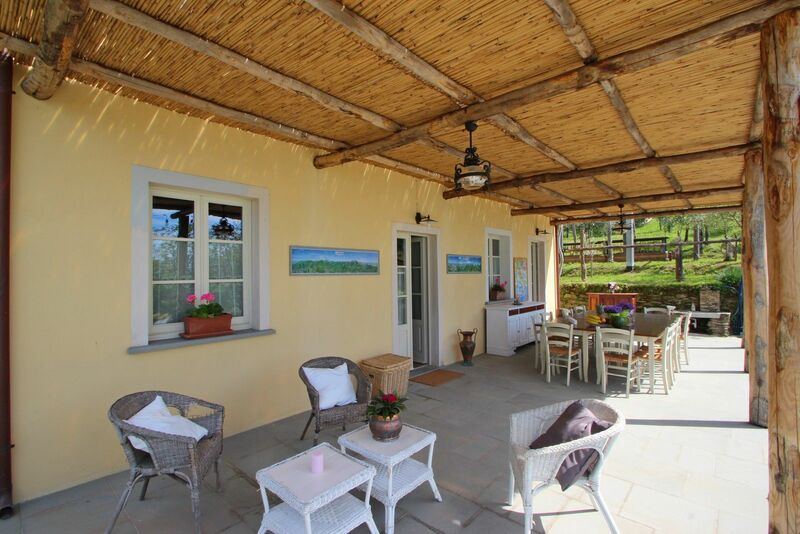 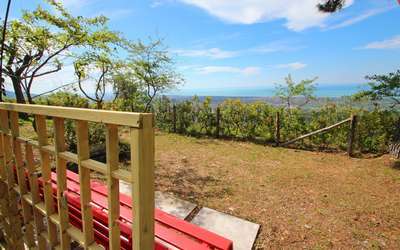 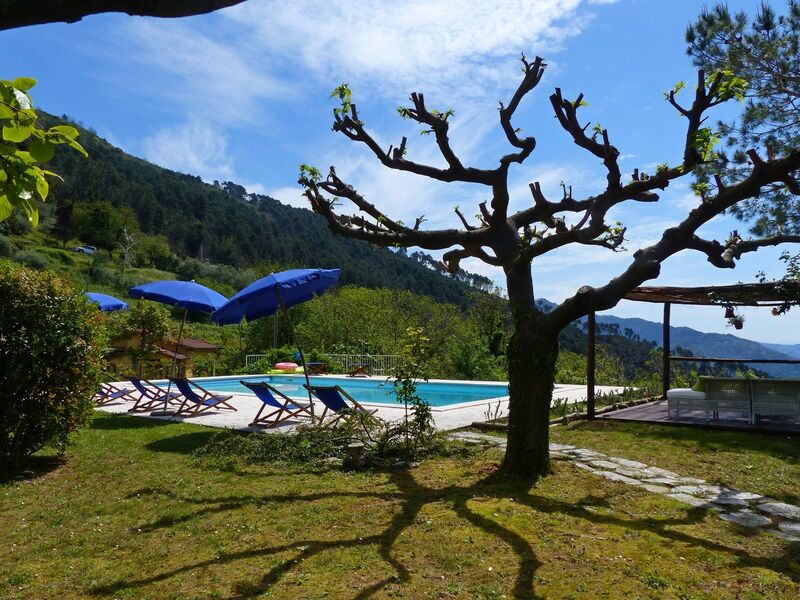 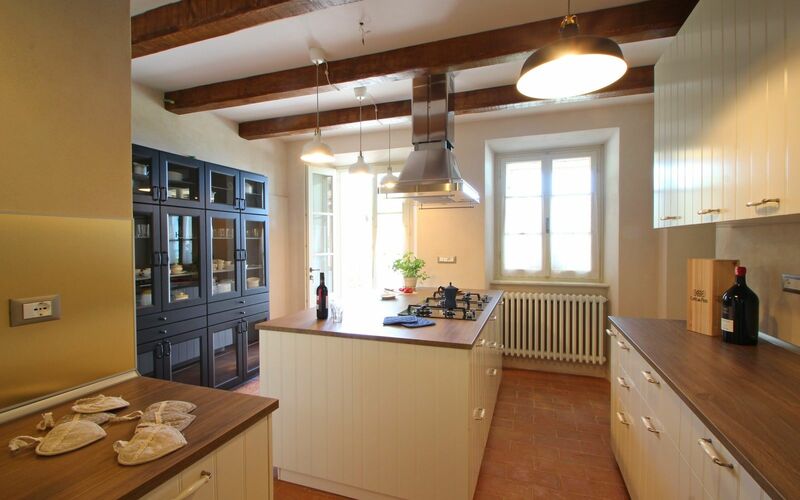 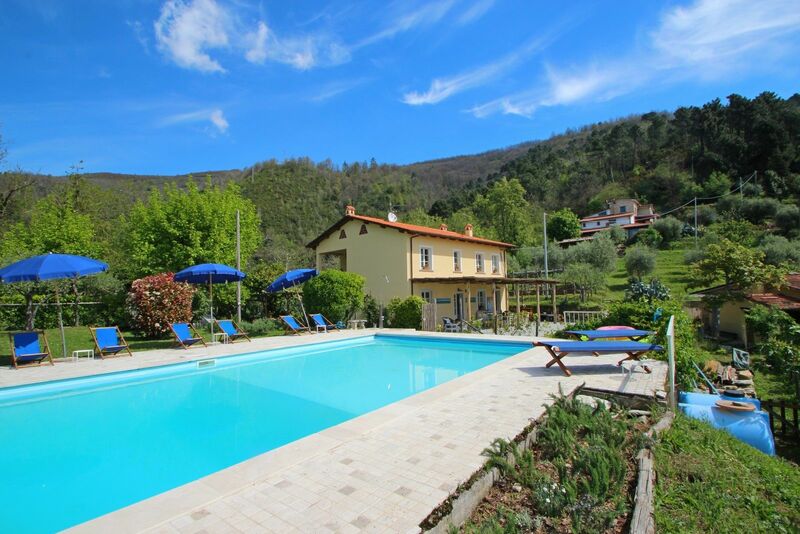 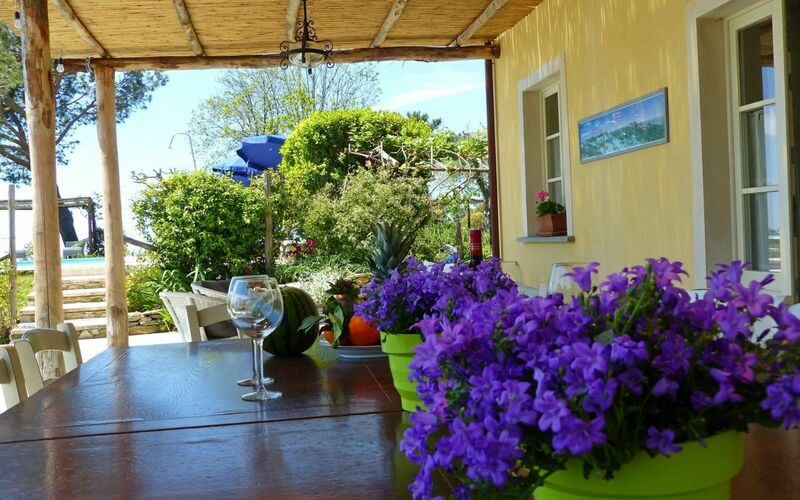 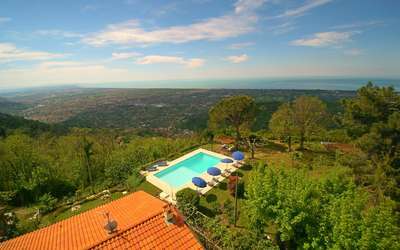 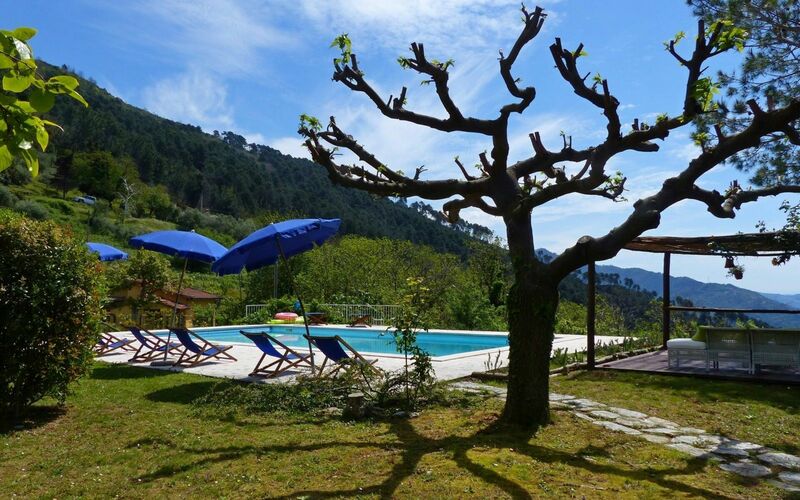 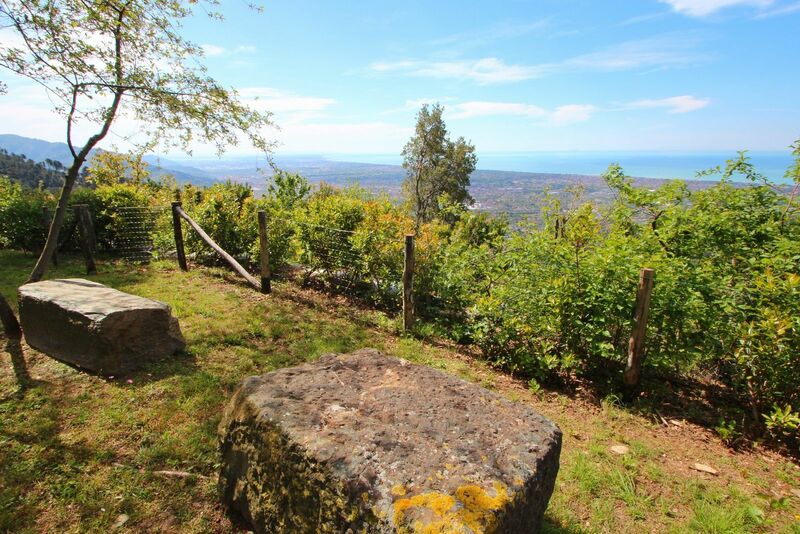 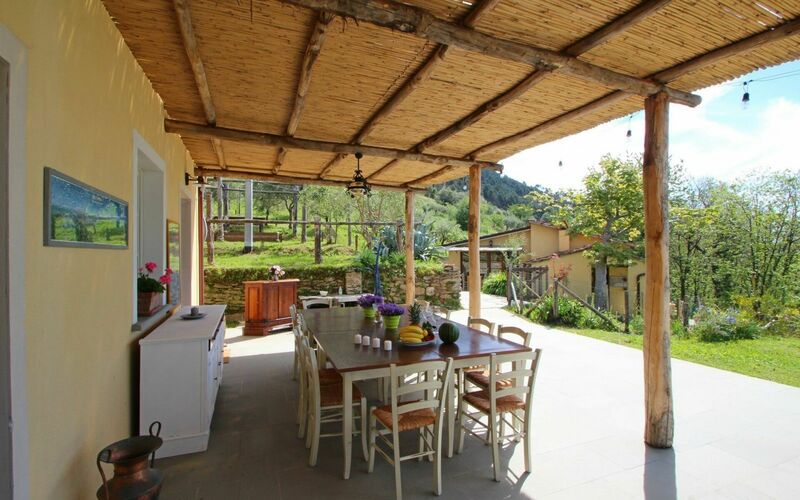 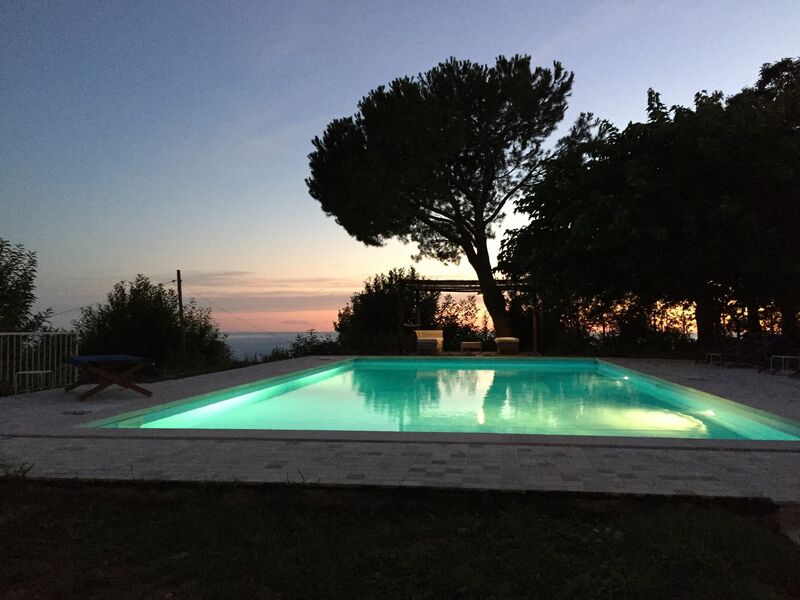 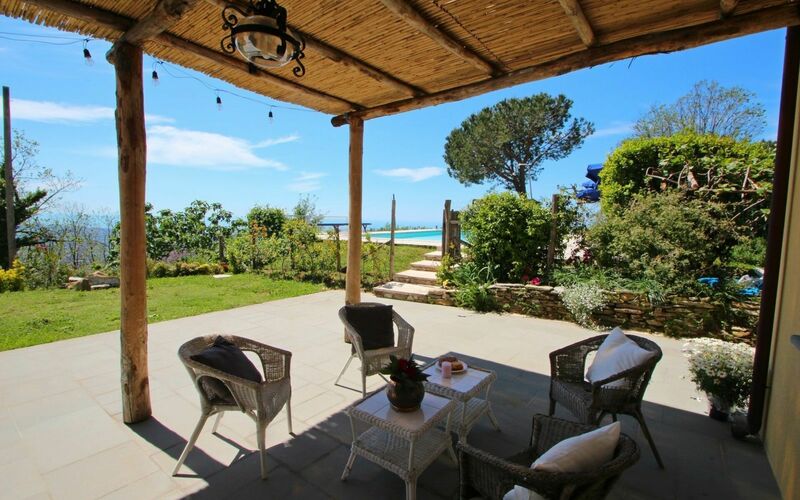 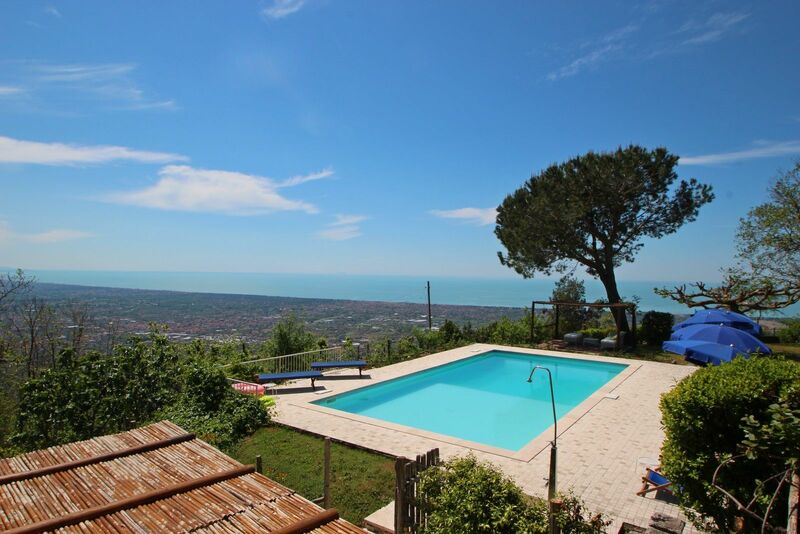 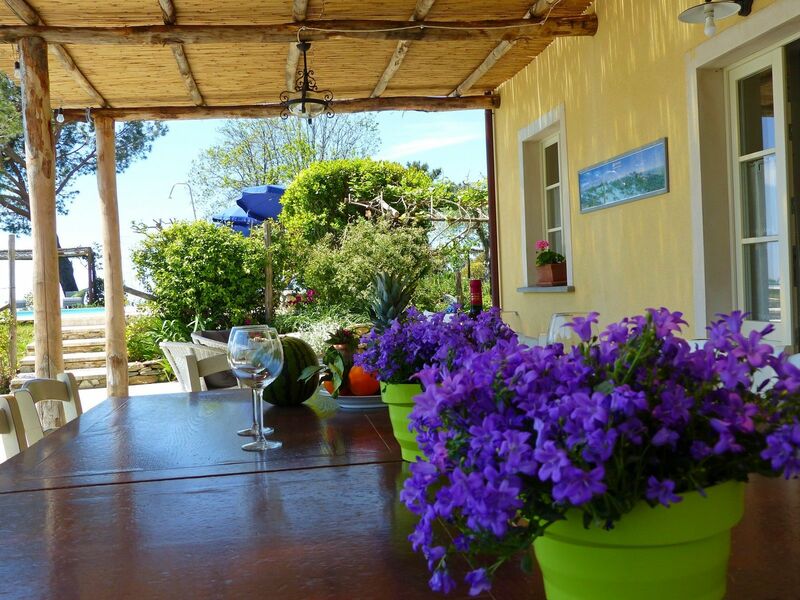 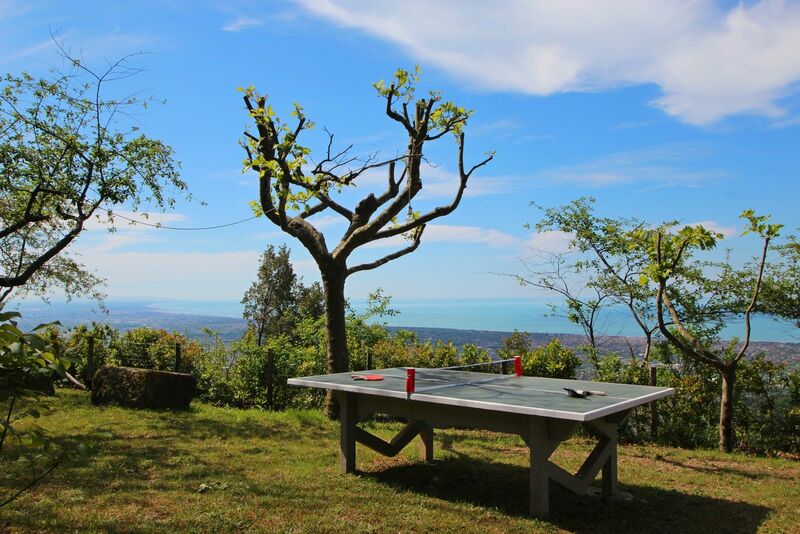 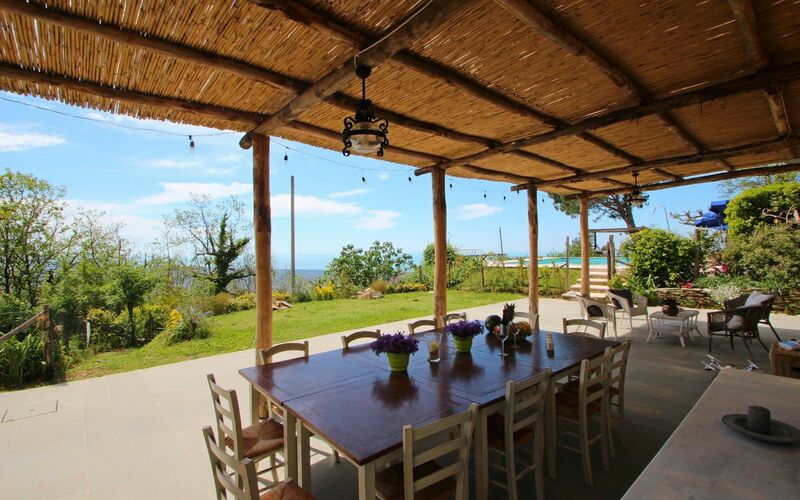 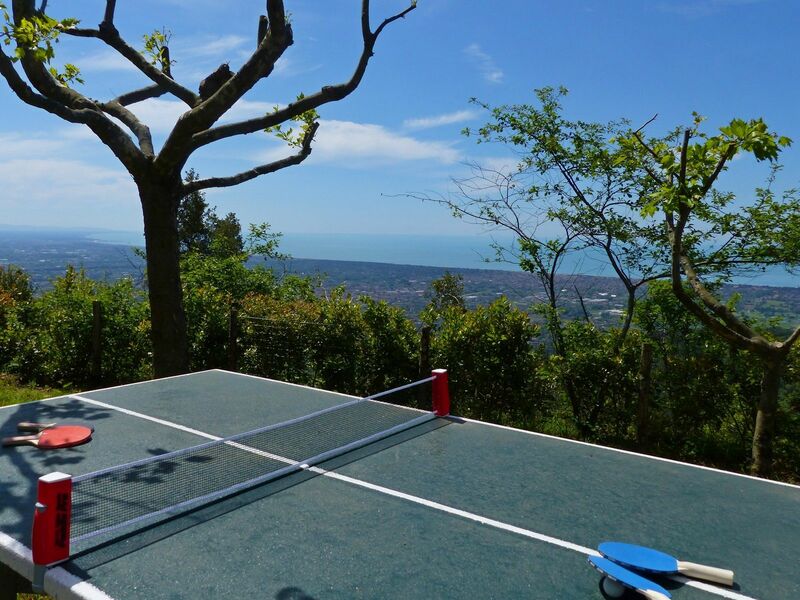 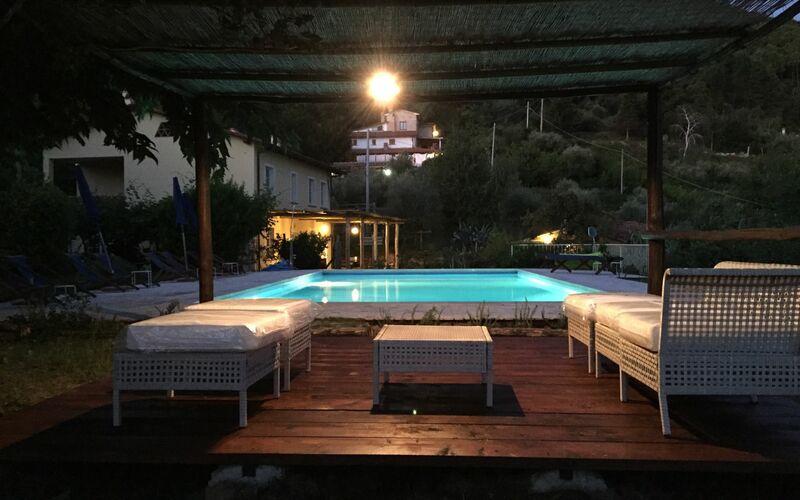 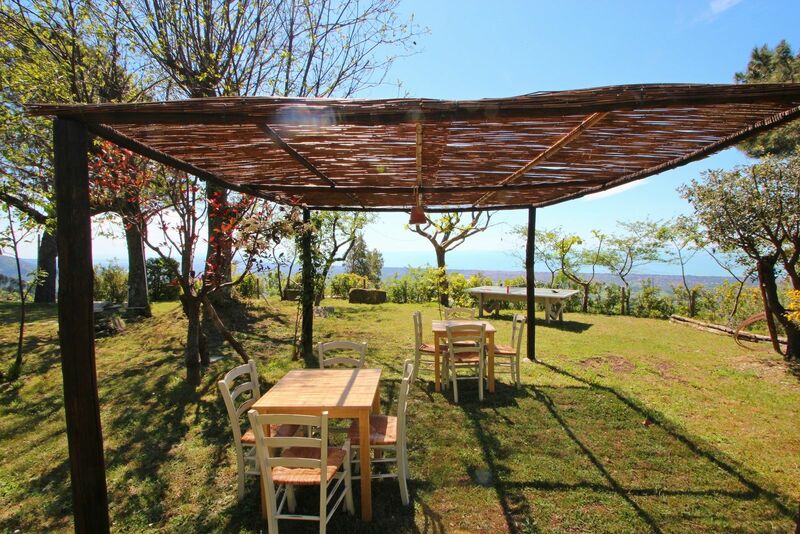 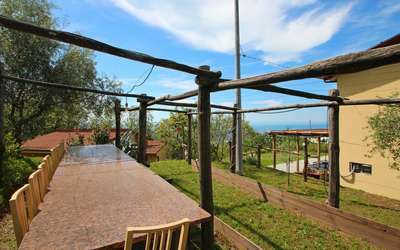 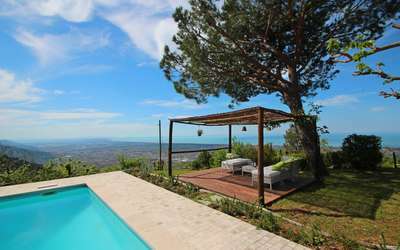 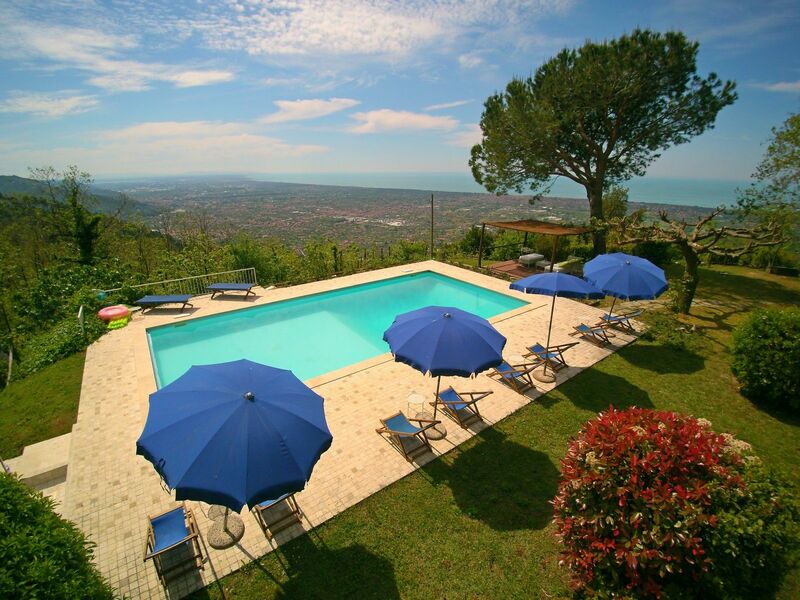 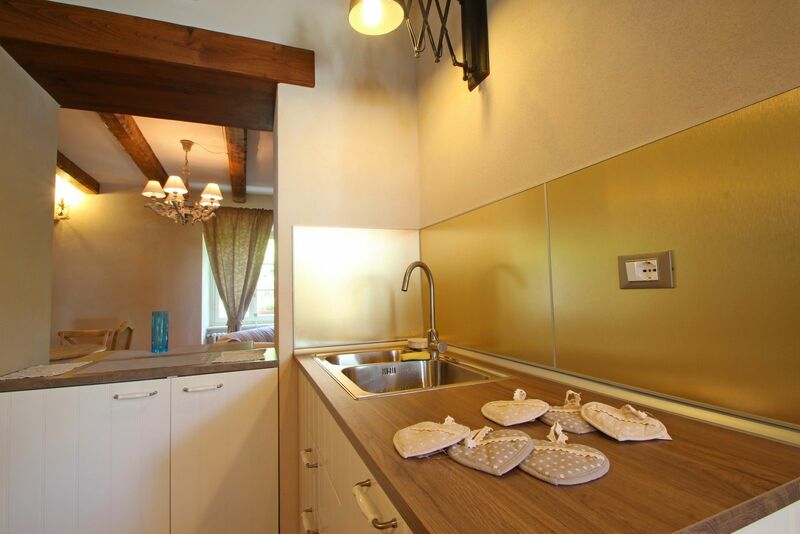 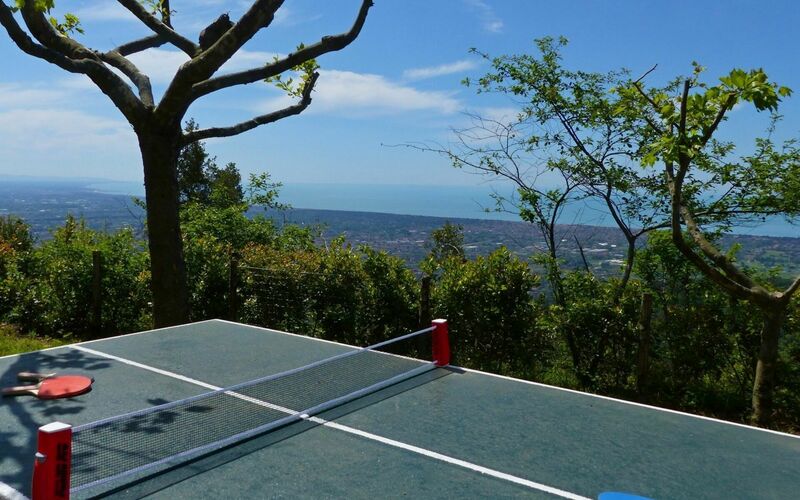 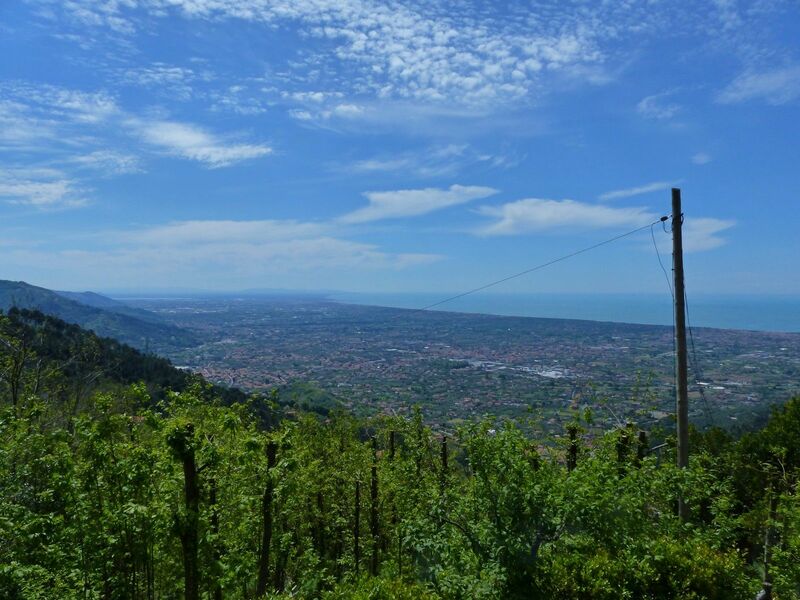 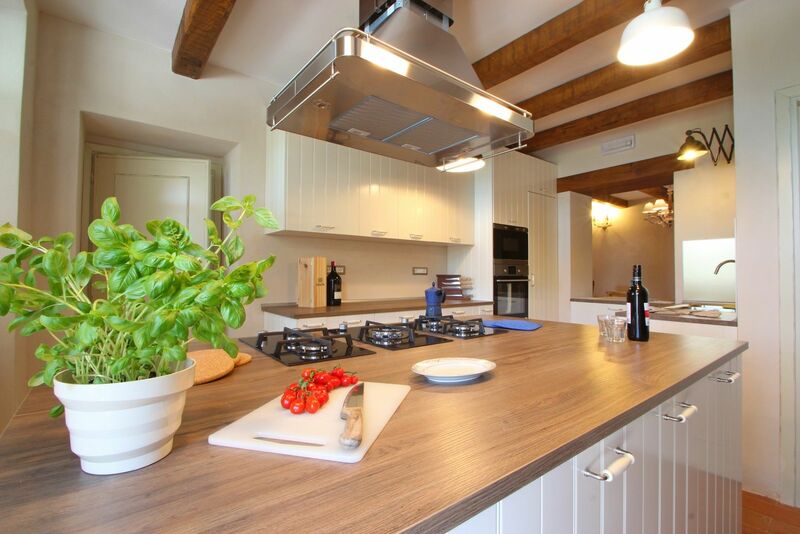 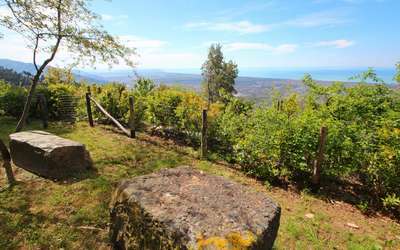 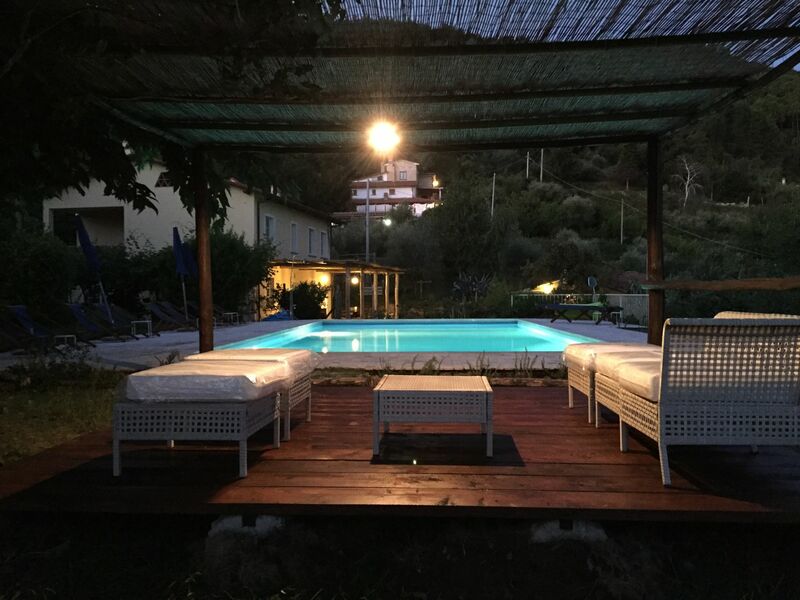 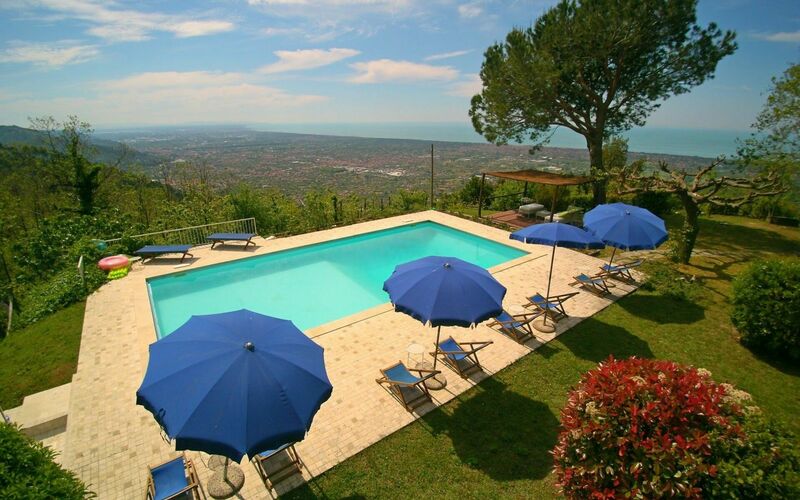 Villa Il Segreto is located in a dominant position on the hills of Versilia, in Tuscany, with spectacular panoramic sea view up to Livorno and islands such as Gorgona and sometimes even Elba. 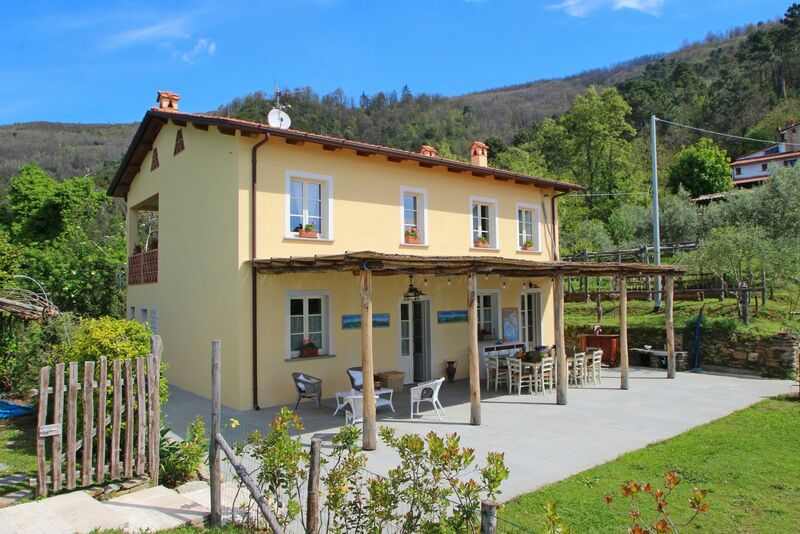 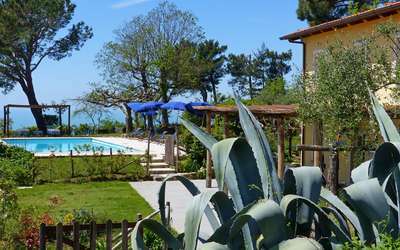 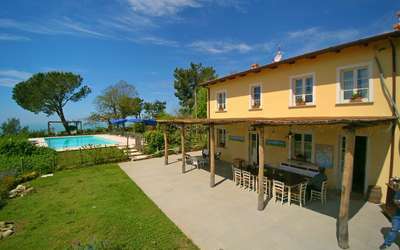 The location is ideal for those who want to live a relaxing holiday without having to give up days at the sea, which is only 9km from here, or for visiting the cultural cities of the area such as Pietrasanta, Camaiore, Lucca, Pisa, Carrara with its marble quarries, or simply stroll among the shops in Forte dei Marmi and Viareggio. 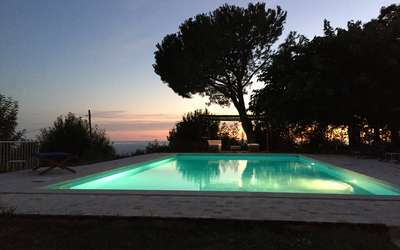 Private swimming pool with sea view, it measures 6 x 12 meters, depth from 1 to 2 meters and always open, lit up at night. 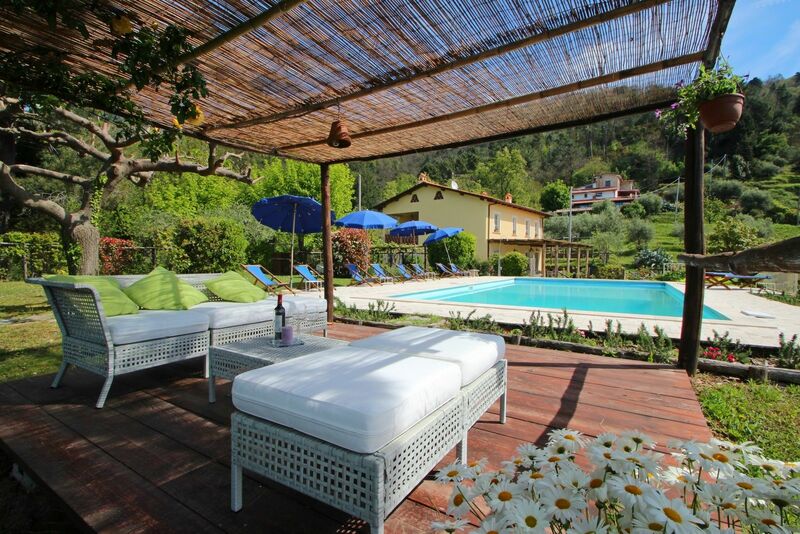 At the pool there are several deck chairs, loungers and umbrellas. In the garden around the pool is also a gazebo with panoramic views of the sea and relaxing sofas, table tennis and a secondary gazebo. 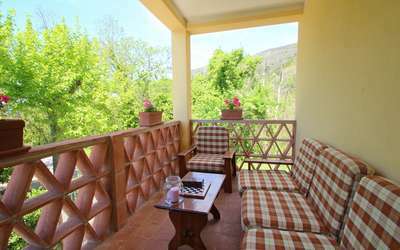 - In front of house is a covered porch area where you will find a relaxation area with sofas and dining table. 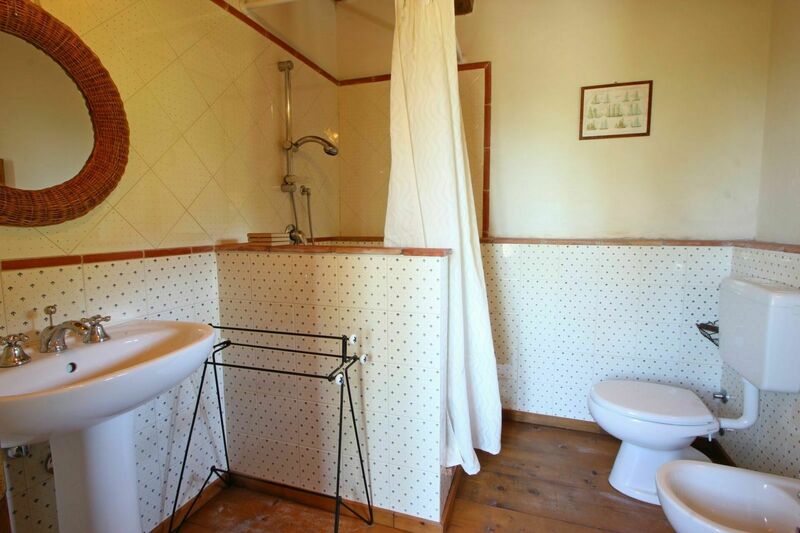 Opposite is the dependence. 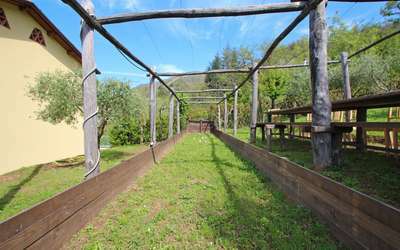 - Bocce Zone: field to play bocce divided by a gate. 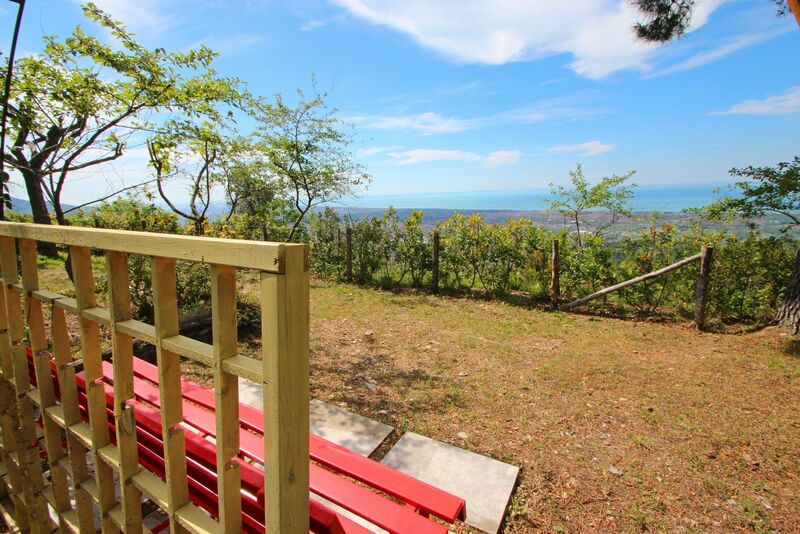 Outside, off the entrance gate, there are 4 private parking spaces. 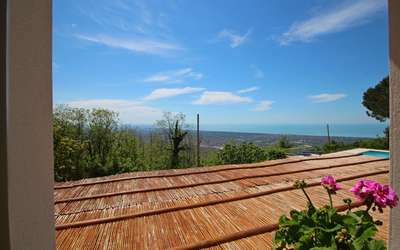 Important: The villa, enjoying a breathtaking view, is reached via a paved road a little steep and not perfectly suitable for cars too large and / or too low. 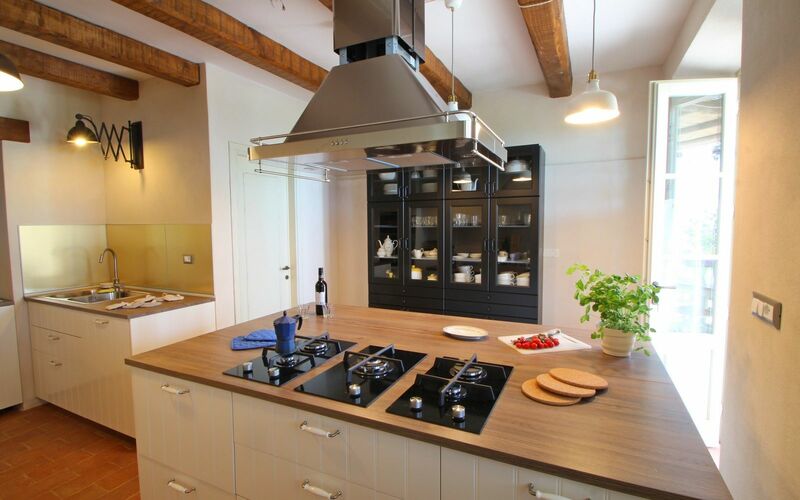 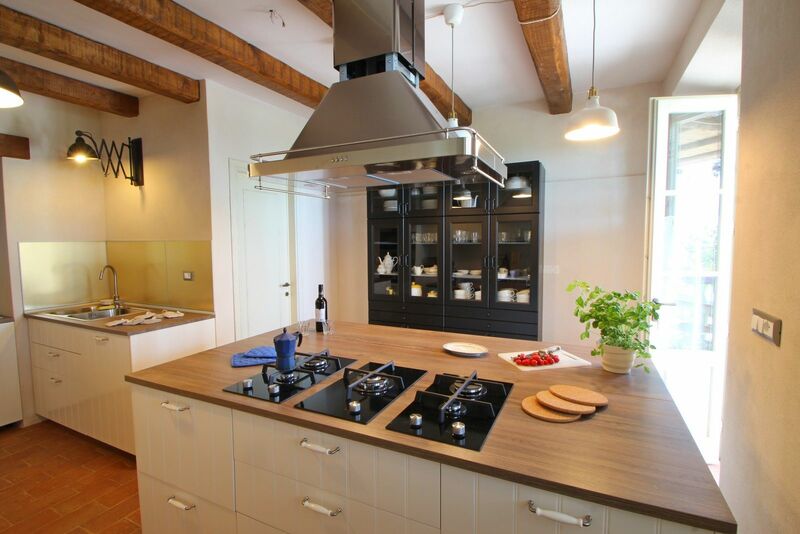 Ground floor: Large kitchen with a breakfast bar with 4 cooking hobs, extractor hood, dishwasher, electric oven, microwave, Italian coffee machine, american coffee maker, refrigerator, storage room with freezer. 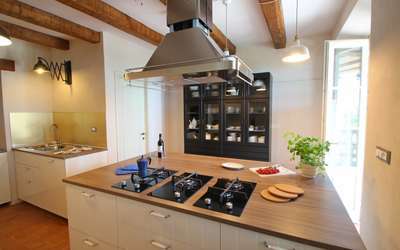 The kitchen has a serving hatch to the living room. Also from the kitchen you can reach the porch. Breakfast area/dining room with table and chairs, illuminated stairs going to the first floor and a technical room. 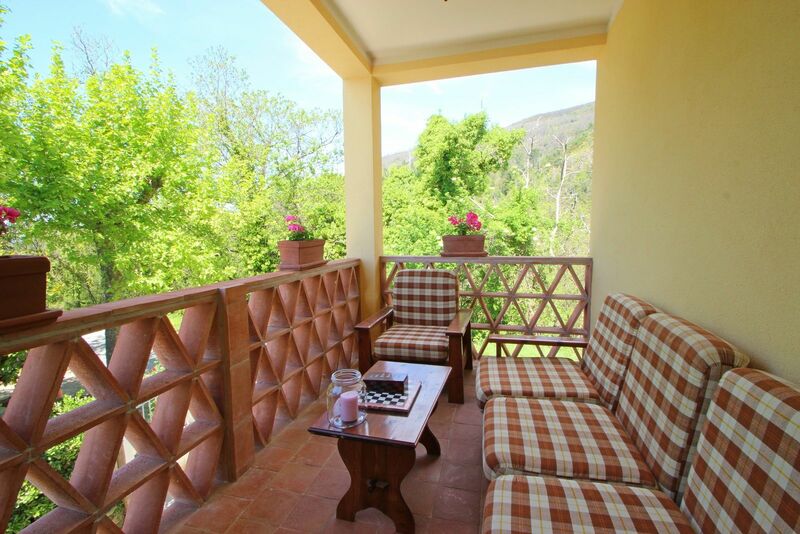 Door to the porch. 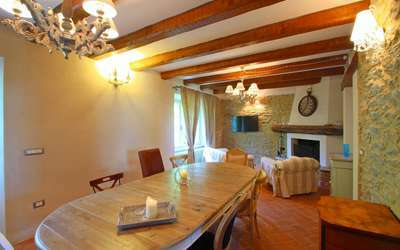 Living room with sofas, large dining table, TV with SAT and fireplace. 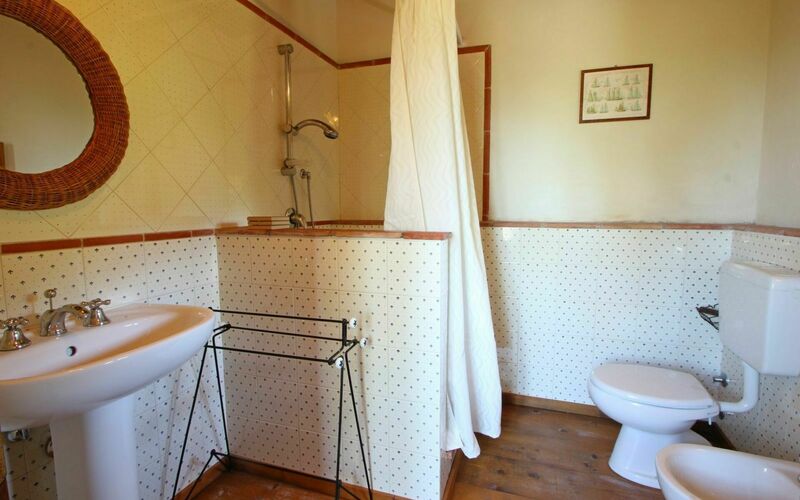 The living room leads to a bathroom with toilet and another entrance door. 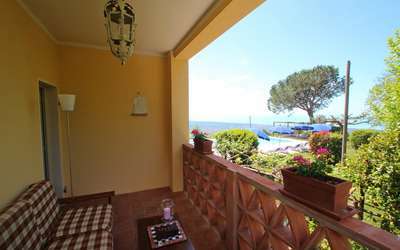 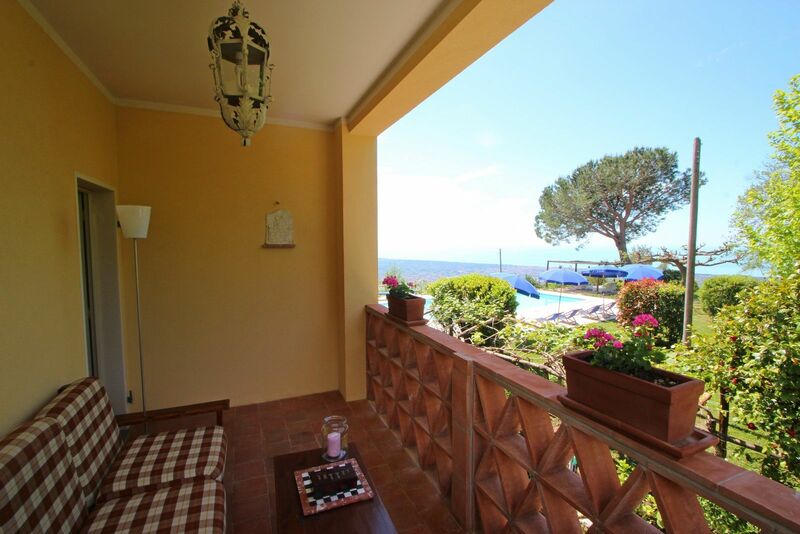 - Room with double bed (2 persons), window overlooking the sea and swimming pool, private bathroom with shower. 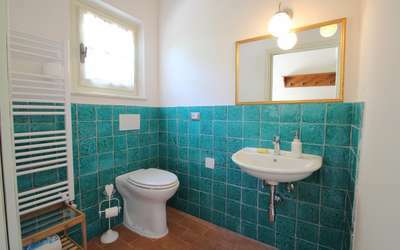 - Room with double bed (2 persons), window overlooking the sea and swimming pool, private bathroom with shower and through room with a single bed (1 Person) and access to a terrace with armchairs and a partial sea view. 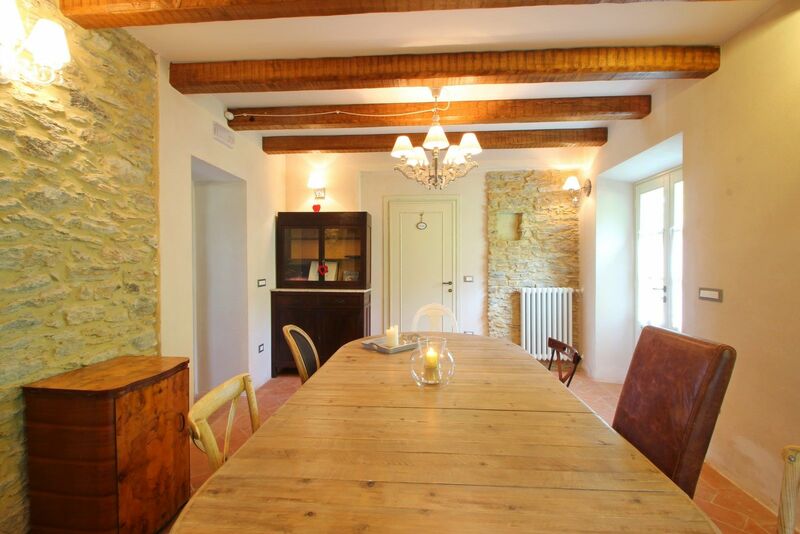 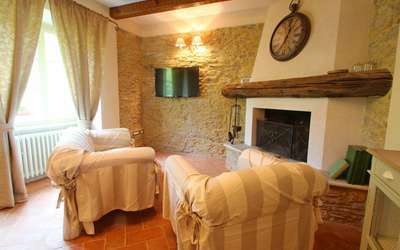 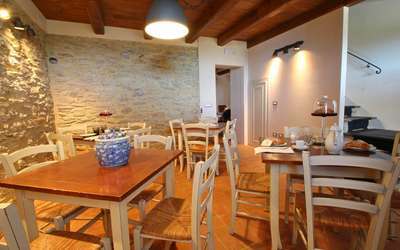 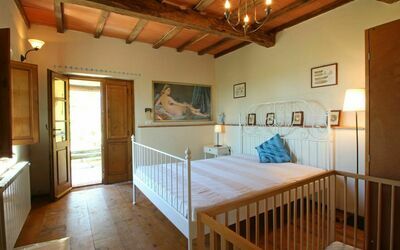 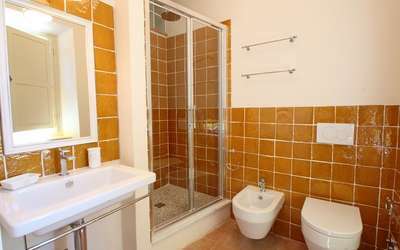 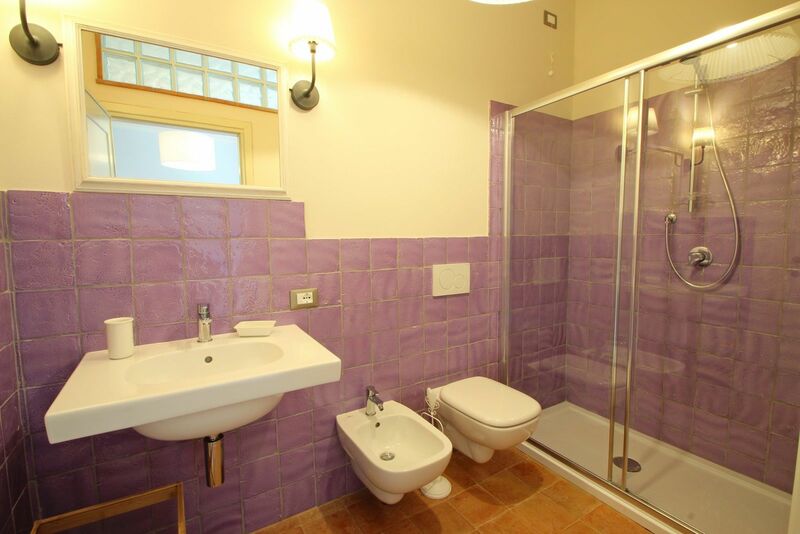 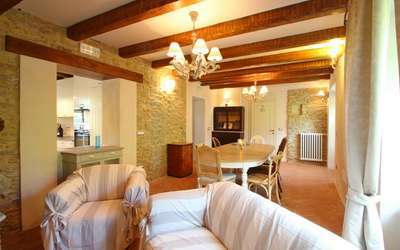 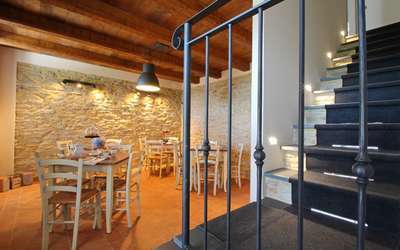 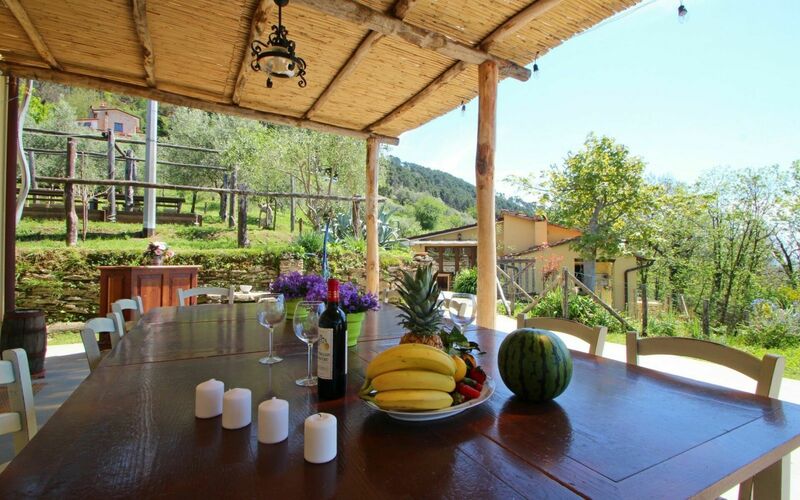 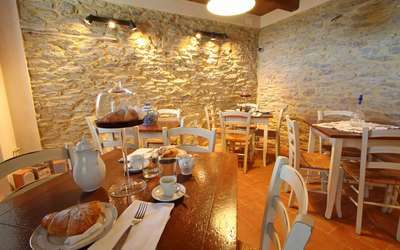 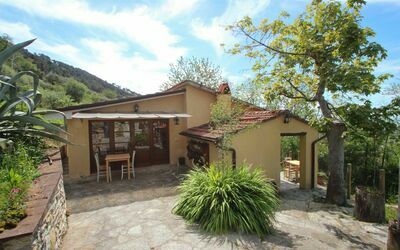 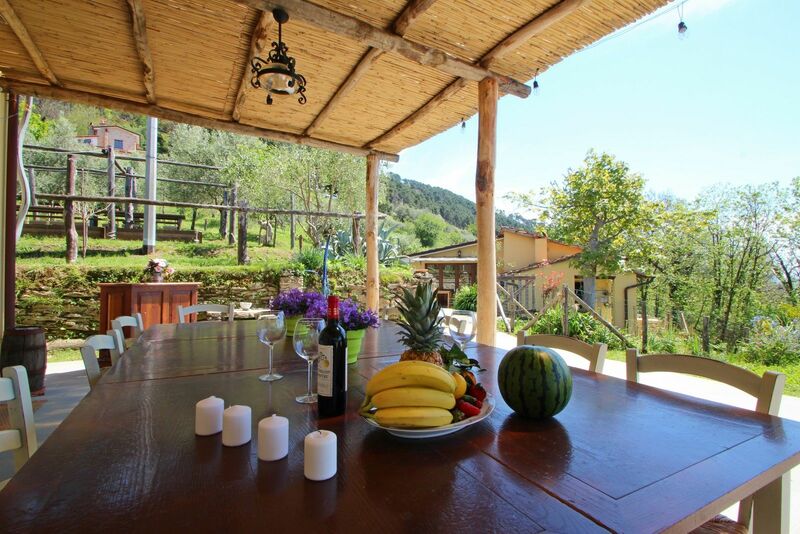 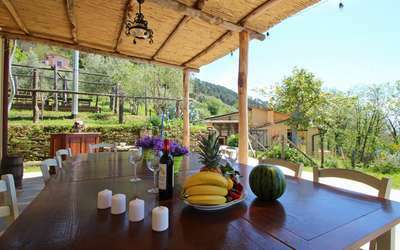 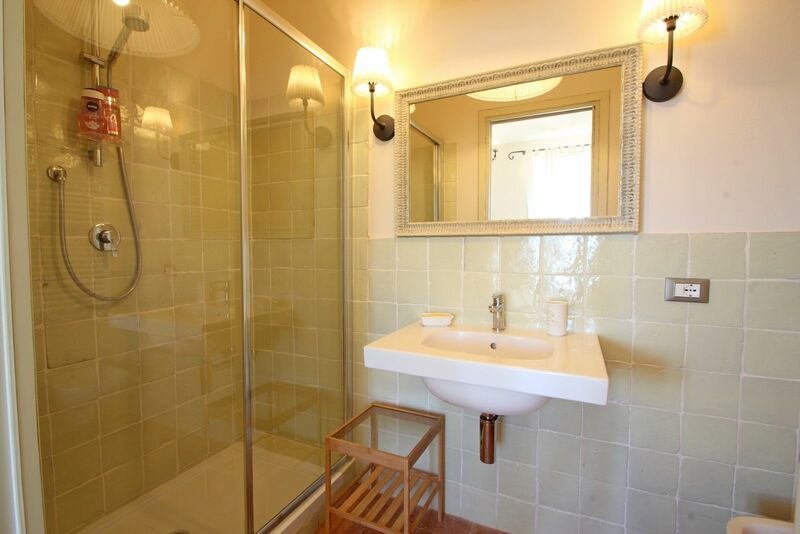 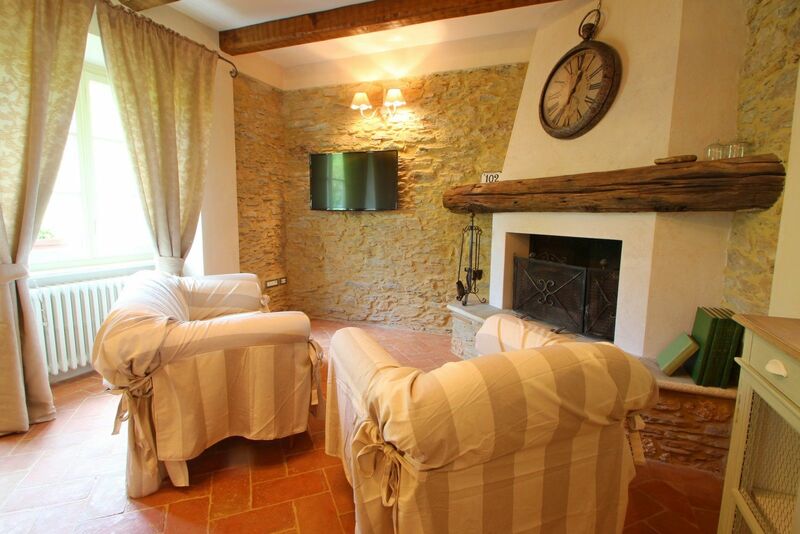 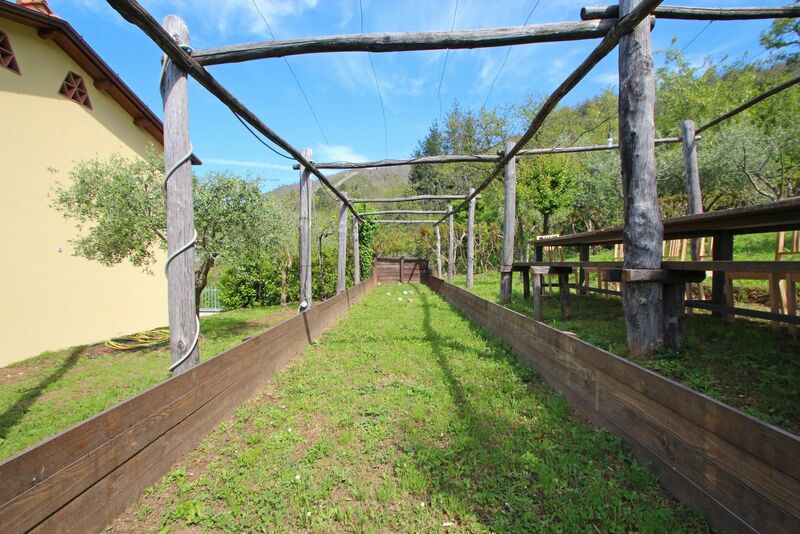 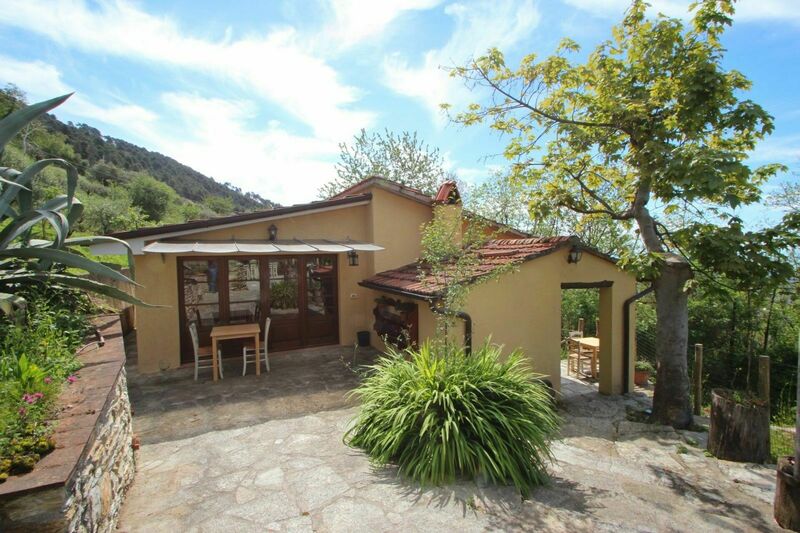 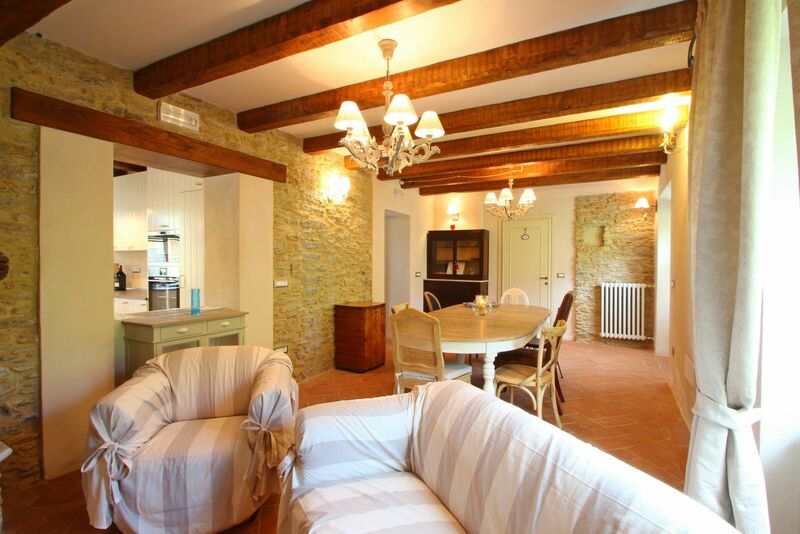 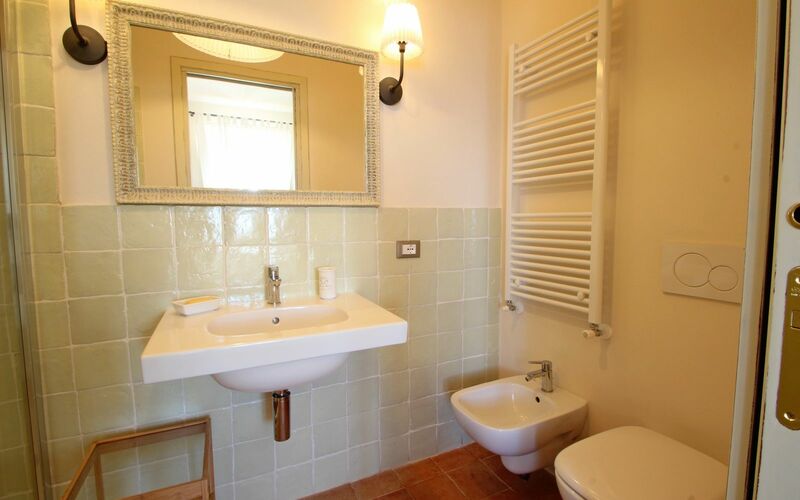 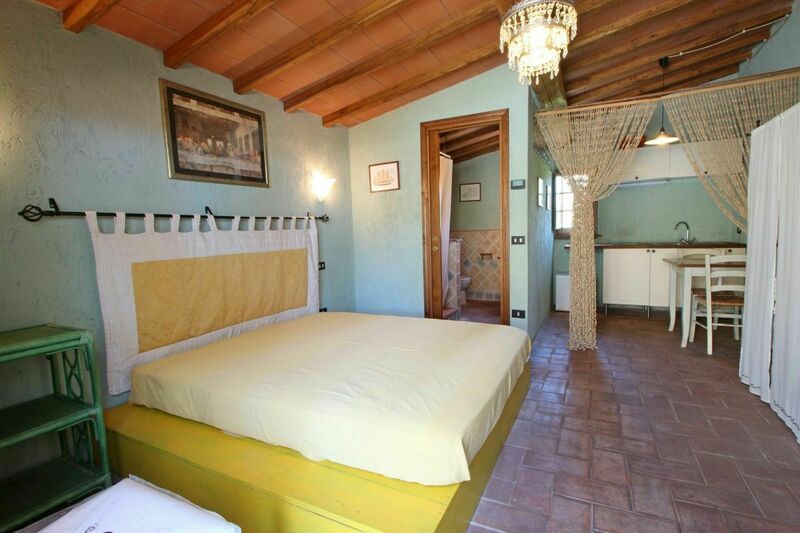 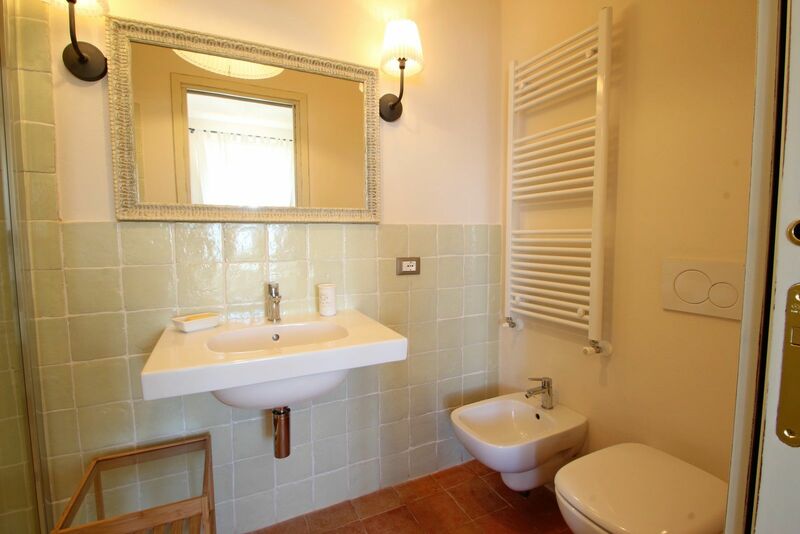 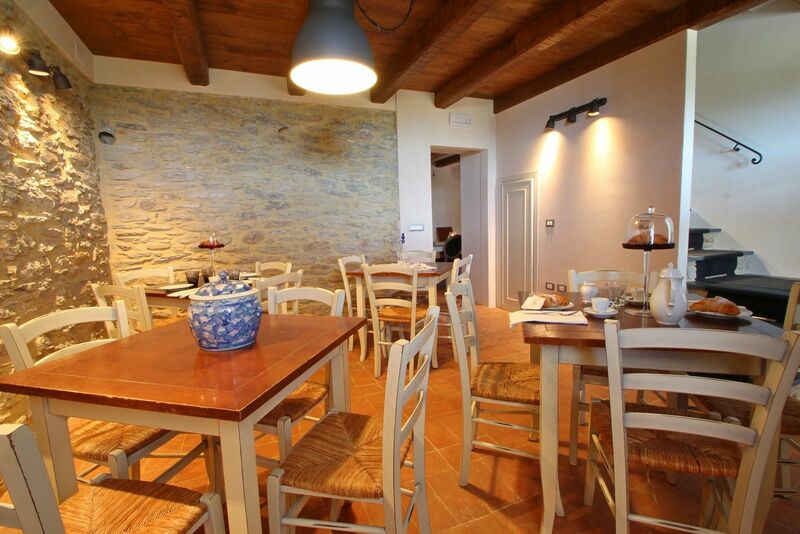 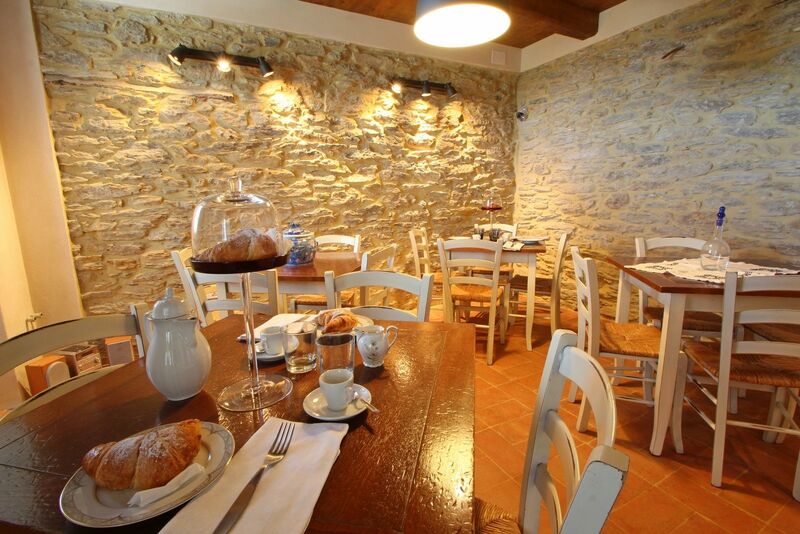 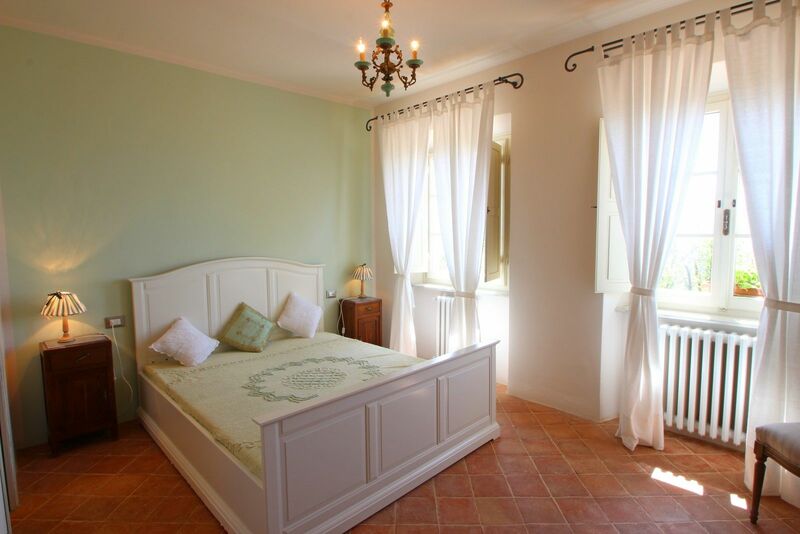 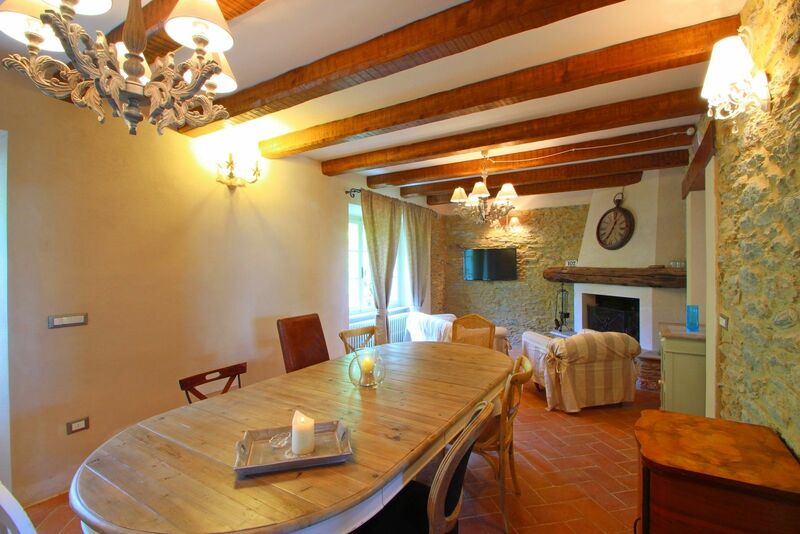 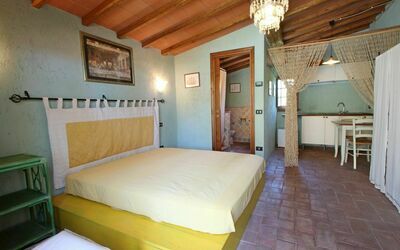 - Room with double bed (2 people), window on the back of the Villa, private bathroom with shower. 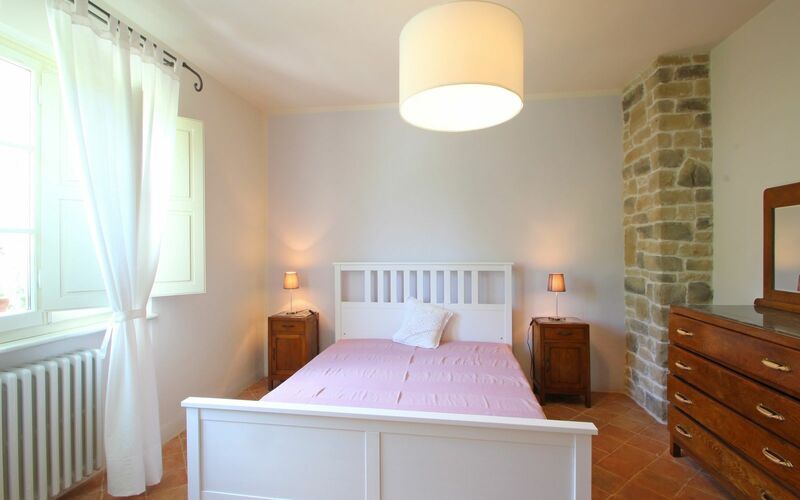 The annex is located opposite the main villa and is completely independent. 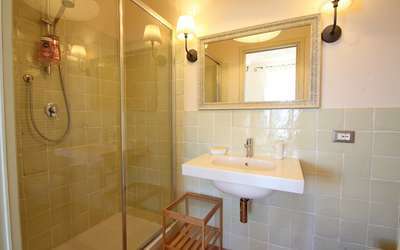 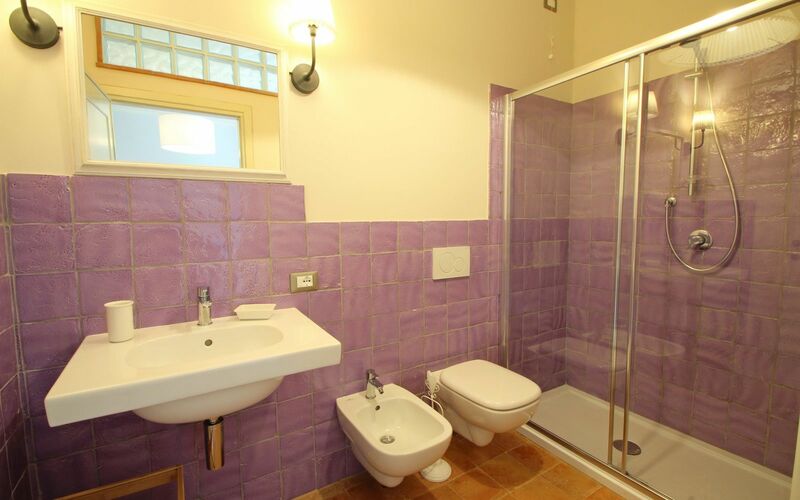 It has two totally independent studios with their own access, both with one double bed and bathroom with shower. 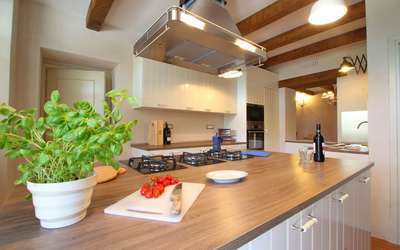 One of the studios also have 2 cooking plates and a small fridge. 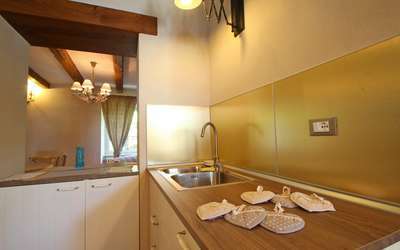 The washing machine for the whole property is located on the back of the dependence. 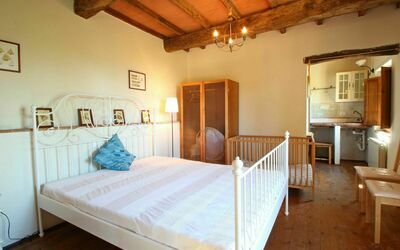 On request a Baby Bed and Highchair is available. 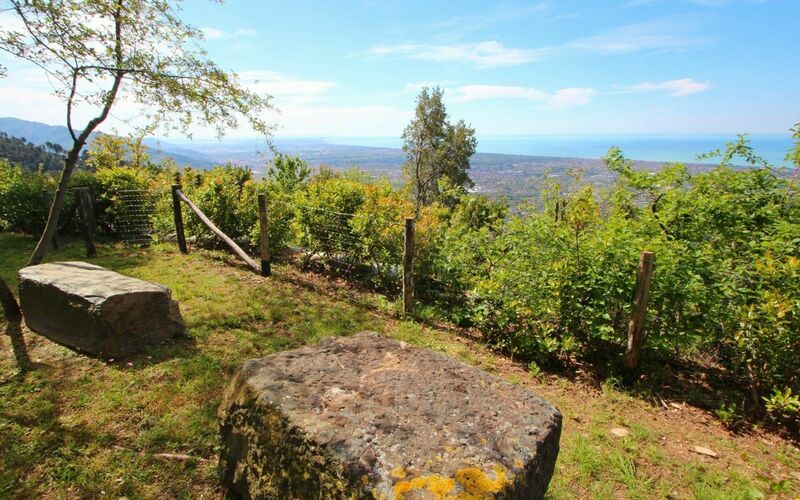 Schöner Urlaub, Phantastische Aussicht und tolle Unterkunft!